Lawrence J. Ellison, often called Larry, is the founder Oracle Corporation. A famous college dropout, Ellison built Oracle, one of the most valuable tech brands in the world. The company specializes in database technology and enterprise application software. 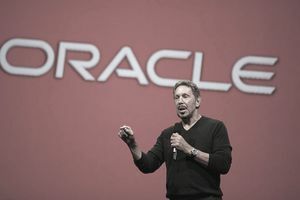 In 2015, Ellison announced Oracle would expand its cloud computing business. At present, Larry Ellison serves as executive chairman and chief technology officer of Oracle, has stepped down as CEO in September 2014. Forbes ranks him as the 5th richest person in the world and the 3rd richest in the United States. Larry was born in New York and grew up in modest surroundings. In school, he excelled in math and science, winning student of the year at the University of Illinois. Ellison’s education life was unstable, though. Larry dropped out of college education during his second year. He later enrolled at the University of Chicago, but he quit his studies once again. In Chicago, he learned the principles of computer programming and moved to California. He worked various jobs as a technician and worked for Amdahl Corporation and Ampex corporation building databases. Inspired by an IBM paper by researcher Edgar F. Codd on a new programming language called SQL, Ellison began work on turning SQL into a database system. According to Ellison, the CIA was their first customer, tasking Ellison and his team building this new database. The project was code-named Oracle. With Robert Miner and Ed Oates, two of his Amdahl colleagues, he founded Software Development Labs in 1977. In 1979, they renamed the firm Relational Software. Ellison and his team completed the project for the CIA. They released their first commercially available Relational Database Management System (RDMS) called Oracle Version 2 in 1979. The company’s fortunes soared when IBM adopted the database for its mainframe systems in 1981. The following year, they re-branded as Oracle Systems Corporation. In 1995, they became Oracle Corporation. Oracle offered up 2.1 million shares in its first IPO in March 1986. In the same year, the company released version 5.1 of its software. The 1990s started in turmoil as Oracle suffered its first losses. It was near bankruptcy due to booking future license sales that didn’t materialize. Ellison took an active role in managing the business, and he turned his attention to product development. In 1992, Oracle7 was a huge success. Oracle became the leader in database management software thereafter. In 2013, Oracle released the latest RDMS version, Oracle 12c. By 2015, the company reported a net income of almost $10 billion. Its main business segment remains software solutions, but they began manufacturing hardware after acquiring Sun Microsystems in 2010. Oracle is the global leader in IT integrated platform systems. It is ranked in the top 20 most valuable brands in the world, with an estimated brand value of $26 billion. It’s also one of the world’s top 30 largest companies by market value. Larry has made a name for himself for his love of cars, private jets, and yachts. He has his own America's Cup sailing team and he owns the BNP Paribas tennis Open. He has a host of million-dollar properties around the world, including a $70 million house in Silicon Valley, a historic garden villa in Kyoto, Japan, and the Hawaiian island of Lanai. Larry founded the Ellison Medical Foundation, one of the largest supporters of research on aging. In 2013, the foundation changed to The Lawrence Ellison Foundation. Its broader mission is to support education, global health and development, and wildlife conservation. Larry Ellison’s bio is an extraordinary one. He has soared from humble beginnings as a teen lacking direction, without a college education, to reach astonishing heights of success. And he has an ego to boot! He told the Smithsonian Institution. "When I started Oracle, what I wanted to do was to create an environment where I would enjoy working. That was my primary goal. Sure, I wanted to make a living. I certainly never expected to become rich, certainly not this rich."